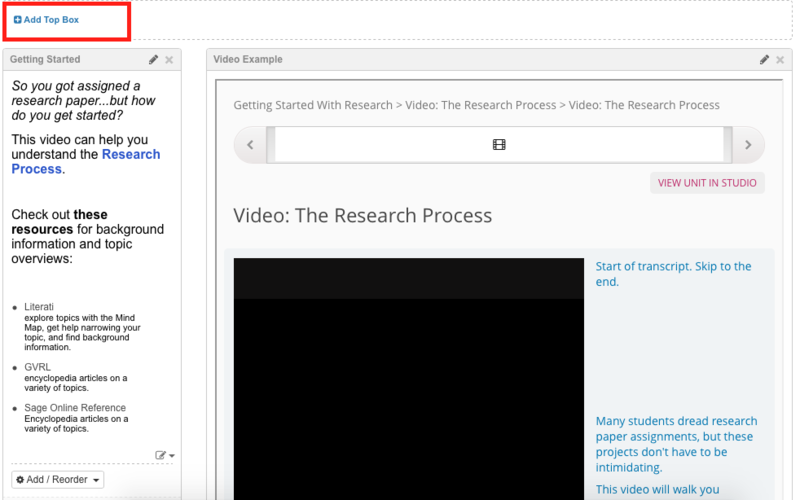 This guide is applicable to all Credo Learning Tools products, including Instruct (formerly known as the InfoLit Modules) and View. 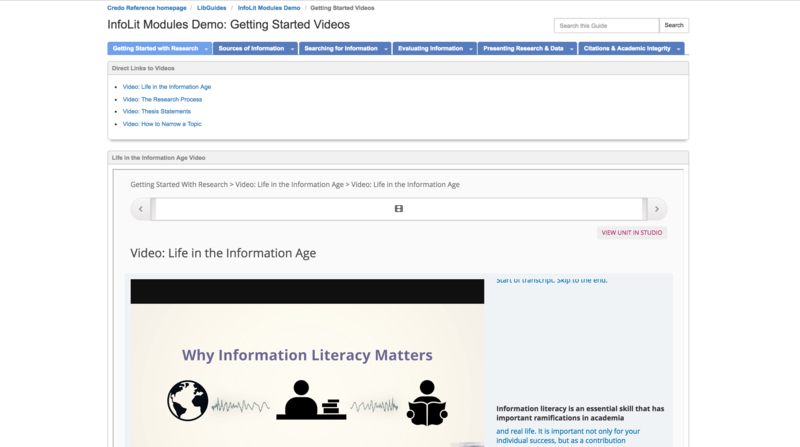 Individual content items can be embedded or linked in public facing websites like LibGuides. Students will be able to view the materials via IP authentication. 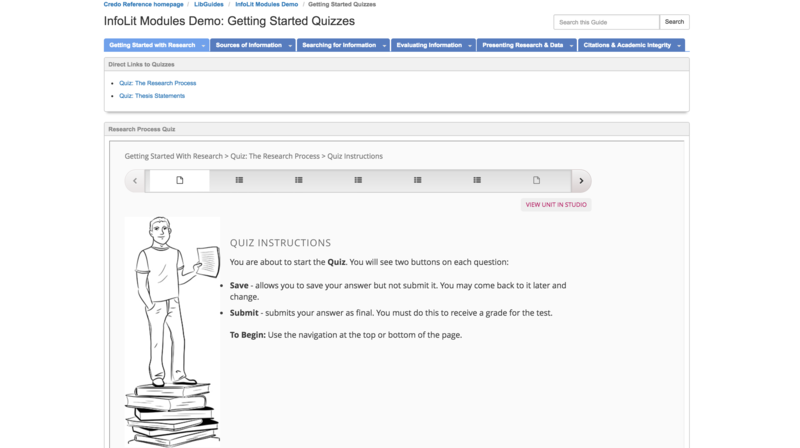 If a student is off campus, they will be prompted to log in to your institutional proxy access, and then will be able to view the video, tutorial, or quiz. If you follow the below instructions, but the embedded frame appears blank rather than showing the content, see here. If you see an error message within the embedded frame, see our Authentication Troubleshooting page. Our support team is also happy to help troubleshoot - just let us know. 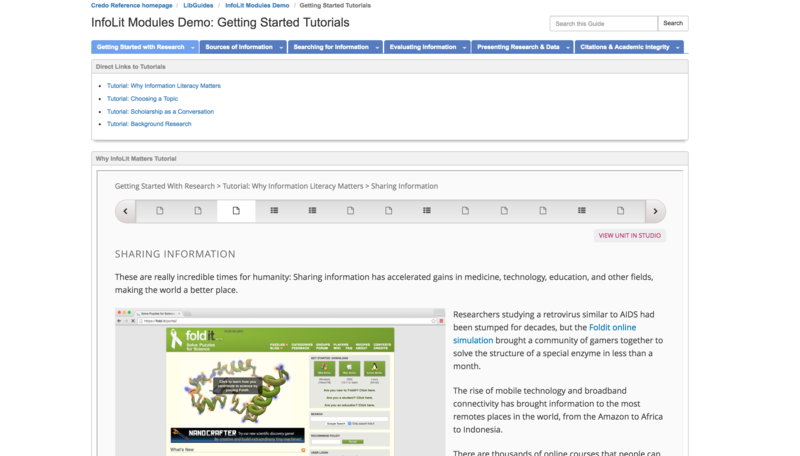 Step 1: Make a new page in your designated LibGuide for the content item to appear on. 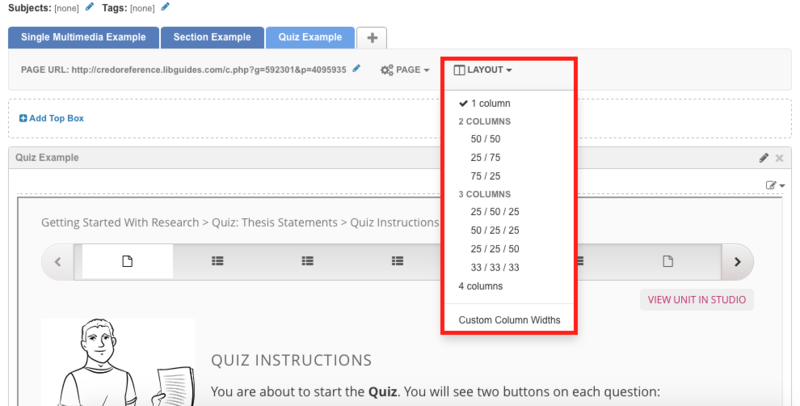 For the best student experience, we recommend that you use a “1 column” layout. 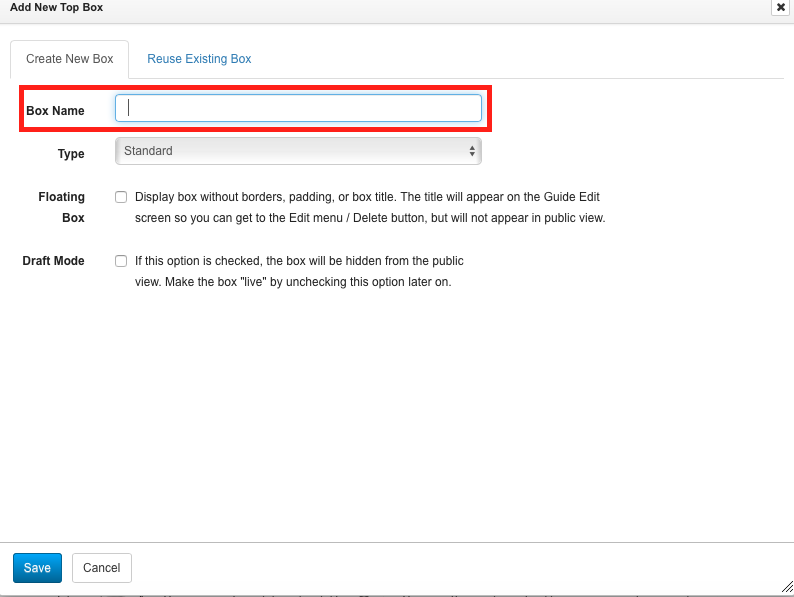 Step 2: Create/Add a box in your LibGuide and title it appropriately. Step 3: Copy the embed code from the Embed Codes tab on your admin dashboard. For the best student experience, we recommend that you use the following settings in your embed code: scrolling="yes" width="100%" height="700" Note - height=”700” is a minimum suggestion, you may find that changing this number to a higher value better fits your LibGuide. Step 4: In the box you just created to host the content, click on Add/Reorder, and then select Media/Widget from the dropdown. 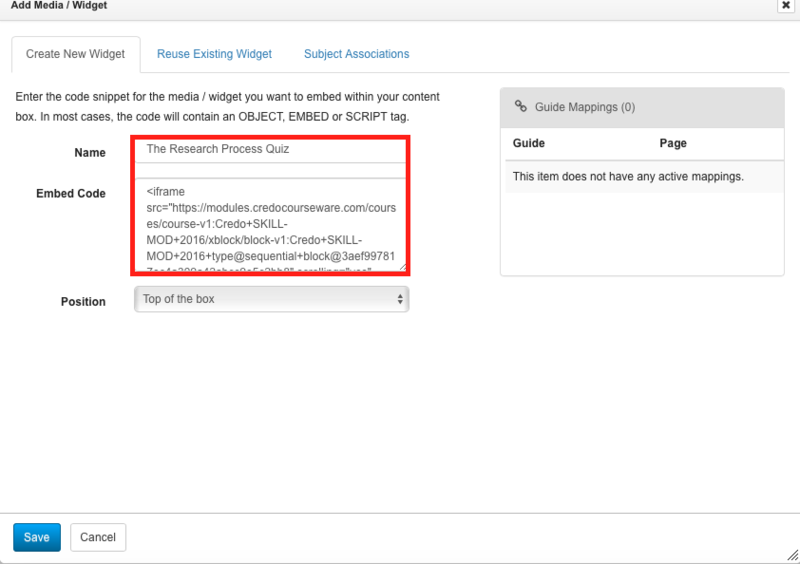 Step 5: Enter a title, and then paste the embed code of the item into the Embed Code box.